Feeling a bit under the weather so here is Chewbacca for your viewing pleasure. ? He looks very regal in this pic. Also very superior, like he knows he’s better than us. Thanks and get well soon. 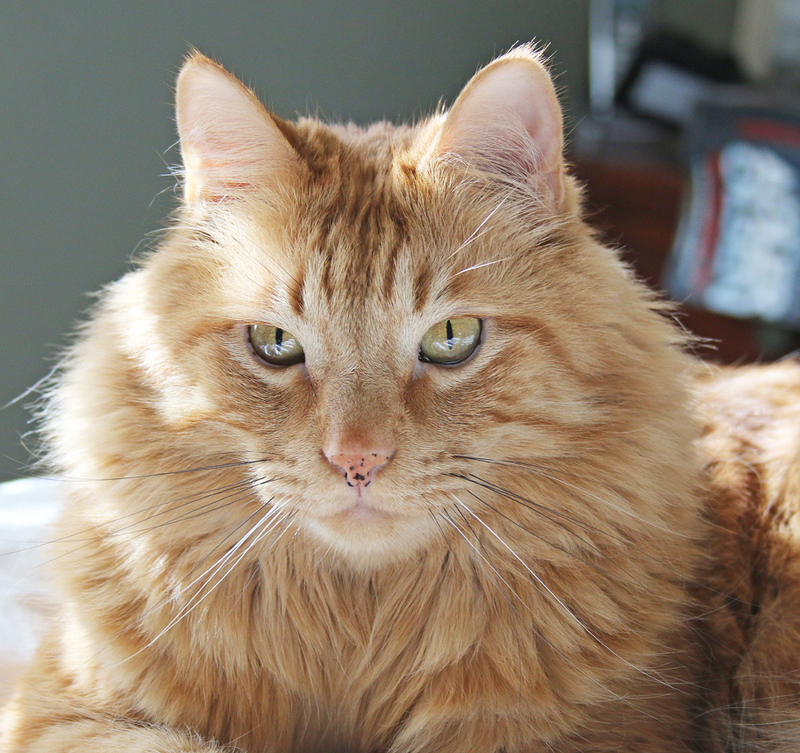 It’s funny, when I use my “big” camera my cats look way more regal. When I use my iPhone they seem more kitten-ish! He’s so handsome! A little under the weather here too. Woke up sick in my birthday Monday. Ugh. Oh no! Well happy belated anyway! Best wishes for an improved New Year for Mom and all the fur babies too! Beautiful cat. This made me smile. I went to urgent care yesterday because one side of my face was numb and did not function properly. I needed this. Hope you feel better. By the way, I wanted to thanks for all your posts. I absolutely love them. Very regal and intimidating here! Feel better! I just love Chewbacca’s nose so much!! Oh he’s so beautiful! Snuggle up with him and feel better soon! Hope you feel better soon Kelly. And Chewbacca is the cat’s meow–obviously.